We started the Memorial Day weekend by heading down to Cape like everyone else. Unlike a lot of folks, we started our trip early on Friday and managed to escape the crushing 3PM “parking lot” scene out of Boston. Our drive was top-down, leisurely, and, with Lady GaGa’s latest album (only $.99 on Amazon!) on the iPod to help pass the time, quite quick. Our destination for the day was Falmouth, both because we wanted to visit Woods Hole and because there was an all-you-can-eat BBQ buffet dinner at the Coonamessett Farm in East Falmouth. We are not big people, but we are big eaters and we WILL go where the eating is good. One of us had skipped breakfast and as we had made no stops on our drive down, we arrived in Falmouth ready for lunch. 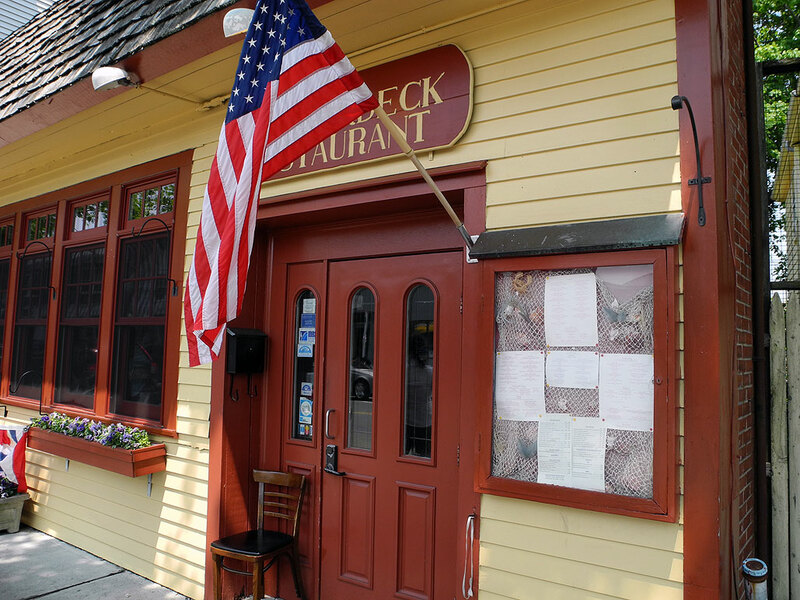 We took a quick stoll down Main Street to scope out the scene and decided on the Quaterdeck Restaurant. It looked like a place where the locals would go for lunch. The place was designed using salvaged wood from local boatyards to create the feeling of being below deck on a sailing vessel. 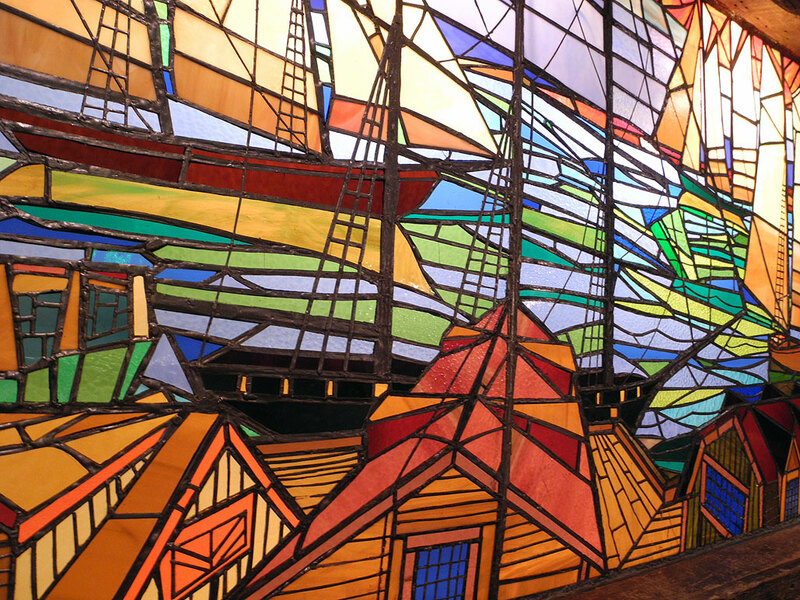 We were seated right in front of a hand-crafted stained glass window in the dining room. The salvaged piece was at one time the front window of a church in Maine. The decision to eat at the Quarterdeck turned out to be an excellent one as our first lobster rolls of the season was JAM PACKED with large chucks of tasty meat. With our appetite sated, we ventured forth and explored Falmouth. Most of the local interests were within a few blocks of the town center. 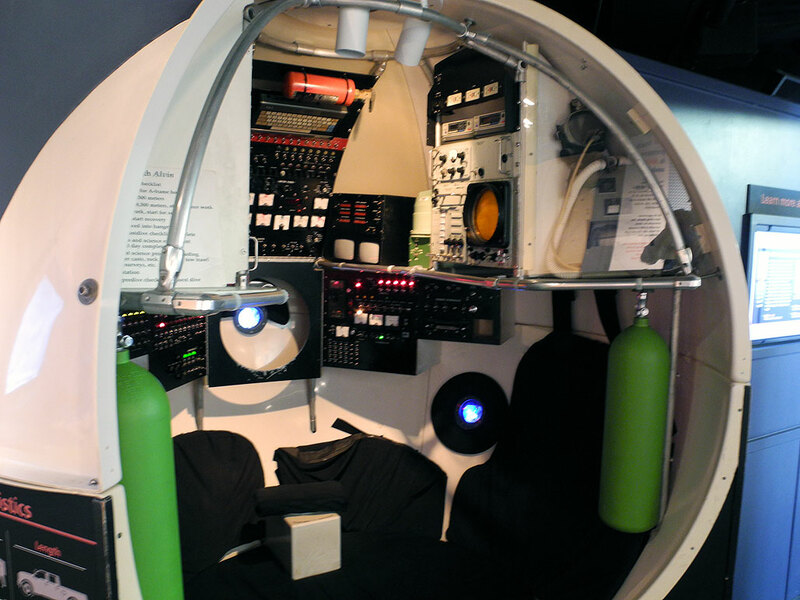 A short drive away was the world-famous Woods Hole Oceanographic Institution (WHOI). The village of Woods Hole was settled more than 300 years ago. In the 1930, the Rockefeller Foundation started WHOI to study all branches of oceanography. Today, WHOI is the largest independent oceanographic research institution in the U.S., with a staff and student population close to 1,000, and conducts research in all of the world’s oceans. How cool is that? After a few hours wandering around Falmouth, Woods Hole, and enjoying some lobster ice cream, we fired up the GPS and found our way to Coonamessett Farm.Coonamessett Farm is a combination of a working farm and a research center. The farm, with its five greenhouses, field equipment, and water systems, provides the cornerstone to the operation. They work closely with the Massachusetts Institute of Technology-Sea Grant, the Woods Hole Oceanographic Institution, Marine Biological Laboratory and the Laboratory for Marine Animal Health at the University of Pennsylvania. While all the research were quite interesting, some of us were clearly there just to visit with the animals. One of us was so focused on videotaping the chickens that she almost missed the bunny checking her out a foot away. We enjoyed ourselves at the buffet (the food was freshly prepared, delicious, and plentiful) and left Falmount around 7-ish. 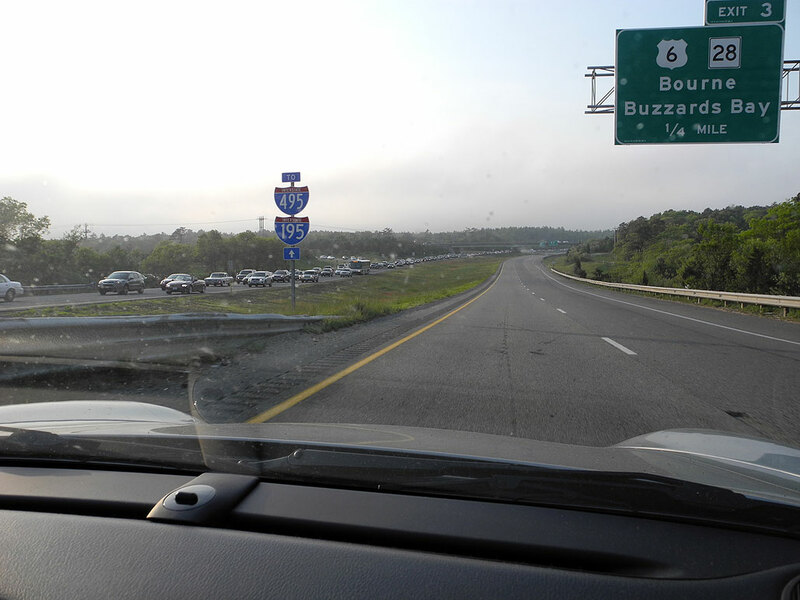 On the way back, we could see the traffic was still pretty heavy on the side heading to the Cape. However, it is going to be nothing like tomorrow. We are glad we made the trip down on Friday so we could enjoy Boston over the weekend when everyone was down at the Cape.